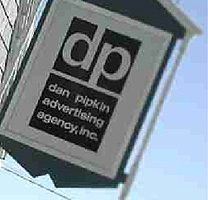 If you want a dynamic, interactive, unique web site, call Dan Pipkin Advertising Agency, Inc. Don't settle for a cookie cutter web site - we will design a unique web site including Flash animation that reflects the style of your business. Visit our Portfolio for web design samples. No minimum contract, No set up fee! Contact our agency for more details and pricing.